Transport for London has stated that serious technological hurdles impeding the use of mobile phones on the Underground mean the recent pledge by the Government is not commercially viable. The plan laid out in the recent Digital Britain report was to make sure that London's Underground transport system would be fully mobile friendly by the 2012 Olympics, being held in the same city. The report stated that it expects: "mobile network operators... to provide and fund solutions to take the initiative to improve the broadband mobile access for mobile customers travelling by Tube – including the huge influx of international visitors to the London Olympics. "If regulatory or other similar constraints turn out to be a barrier the Government is willing to address these." "We tendered for a trial of mobile phone technology on the Waterloo and City line, but the market has yet to provide a commercially viable solution. 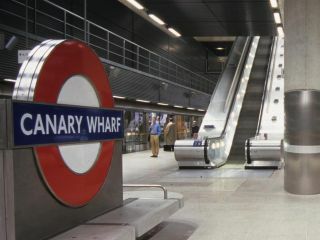 "Naturally if funding was found from external sources we would give consideration to how a system mightbe implemented on the Tube," said a spokesperson for the company. It seems that these hurdles will be hard to overcome thanks to the infrastructure of the current Underground meaning there is very little space to install the necessary hardware.